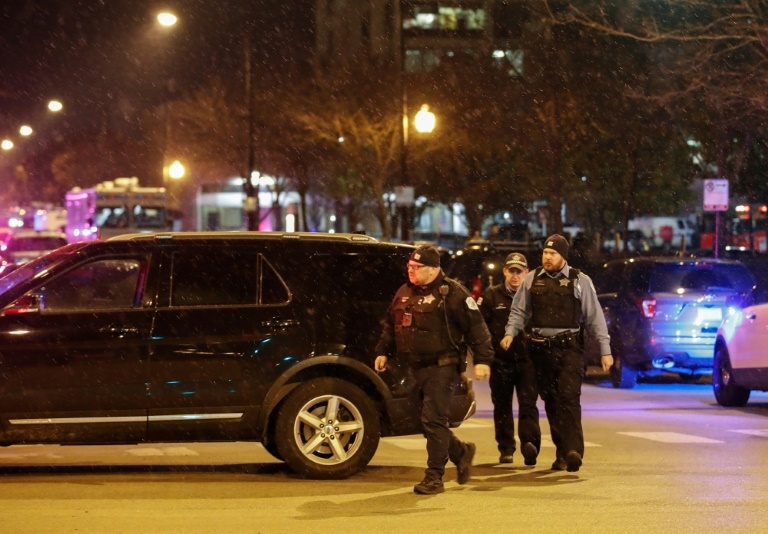 An argument in a hospital parking lot escalated into a shooting that killed three people, including a police officer, in the US city of Chicago on Monday. The violence only ended when police engaged in a shootout with the gunman inside Mercy Hospital. “We have four deceased individuals: police officer, two female staff employees at the hospital, and the offender,” police Superintendent Eddie Johnson told journalists. The shooter killed the first victim — a woman who was in a “domestic relationship” with him — during an argument in the parking lot, then fired at police when they got to the hospital, and ran inside, Johnson said. Additional police — including SWAT officers — arrived at the scene, and “engaged the offender for several minutes in the hospital, with gunshots being fired by the offender and by the police,” he said. During the shootout, the gunman killed a second woman when she got off an elevator, Johnson said. The shooter also fatally wounded, but it was unclear if he killed himself or was killed by police. Patients described being alarmed by the sound of gunshots outside Mercy Hospital and seeing a man apparently walking with a woman in the parking lot before shooting her three times in the chest. TV footage showed terrified patients and staff filing out of the hospital into a parking lot with their hands in the air after officers flooded the area. Patient Hector Avitia told the local CBS television affiliate he was with his wife waiting for test results when he saw a gunman dressed in black fire on someone on the ground several times in the parking lot. “Then almost immediately, an officer was already coming in an SUV, and (the assailant) exchanged fire at them and then reloaded and shot the person on the ground again,” another witness said. The shooting followed a series of recent high-profile gun rampages that have fueled calls for reform of firearms regulations in a country plagued by gun violence. Less than two weeks earlier, a gunman killed 12 people in a California music bar packed with college students. That came after the worst anti-Semitic attack in modern US history, when a gunman opened fire on congregants at a synagogue in the US city of Pittsburgh on October 27. Bypassers alerted to the latest incident spoke of hearing between six and nine gunshots that initially sounded like construction noise. “I am scared as hell. I have never been so scared, I hear of shootings going on every day at people’s workplaces, but not where I work at,” an employee of the hospital’s family clinic told the ABC affiliate. Mercy, founded in 1852, has locations throughout Chicago and provides outpatient treatment and acute inpatient care, boasting doctors who are leaders in their field. Another hospital employee quoted by the Chicago Tribune said she was in her office when a notice came over a public address system telling those in the hospital to lock their doors. “I don’t know what happened,” the unnamed employee told the Tribune.